I would say they're very prompt, they did what they promised they would do, and everything was completed in a timely manner. Blaine is competent, honest, and professional. 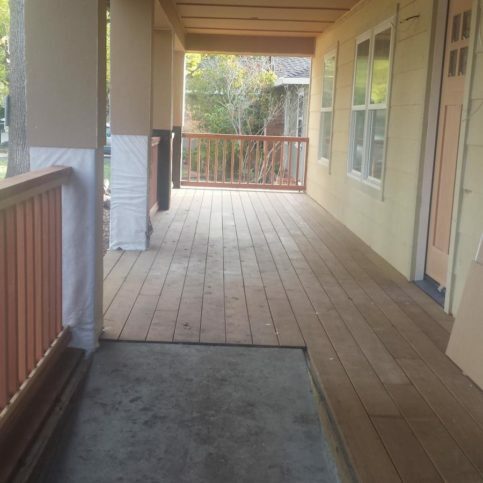 The job was completed quickly, they stayed on budget, and they followed through on their commitments. Quality work and efficient, I've used him several times. 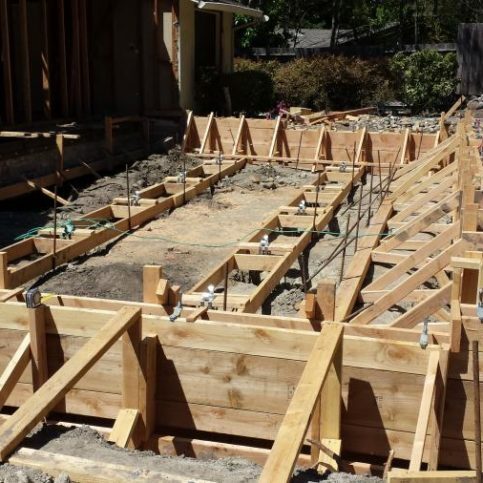 Willow Creek Construction provides a complete range of framing and foundation services for residential and commercial clients throughout the Bay Area. 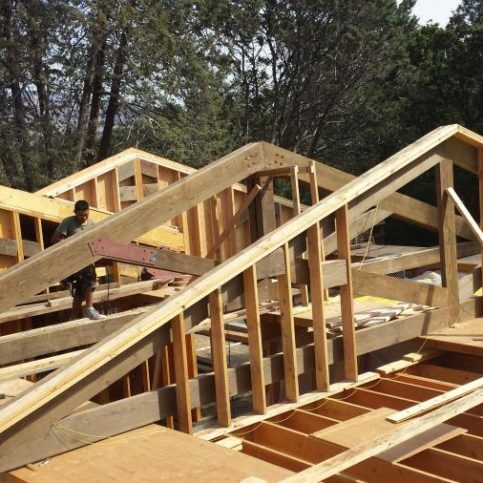 In addition to handling the structural work for its customers’ construction projects, the family- owned and operated company has the training and equipment to install features like hillside foundations, blind wall framing, cedar siding, and decks. 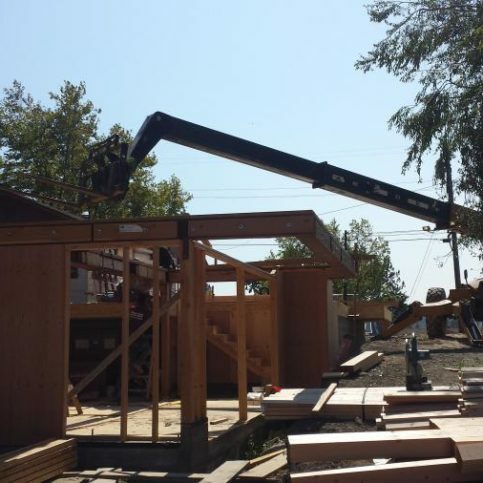 Willow Creek Construction custom built the trusses on this residential project. 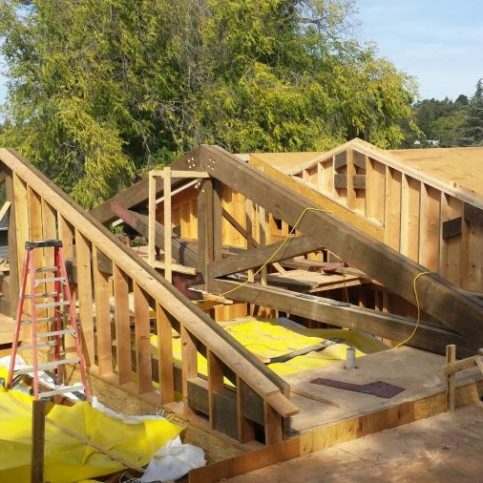 Willow Creek Construction provides framing and foundation services for residential and commercial clients throughout the Bay Area. 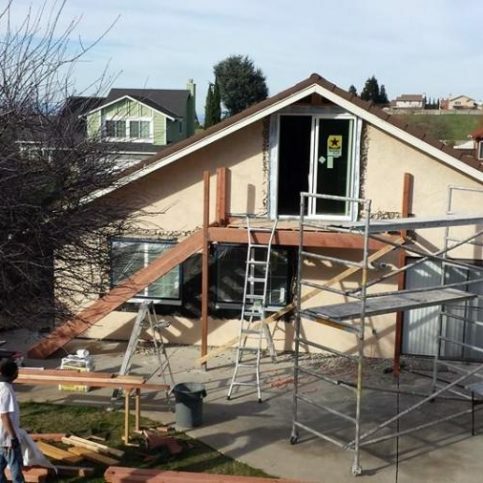 The family-owned and operated company primarily focuses on handling the structural work for its customers’ construction projects, but it also has the training and equipment to do light demolition and siding jobs. 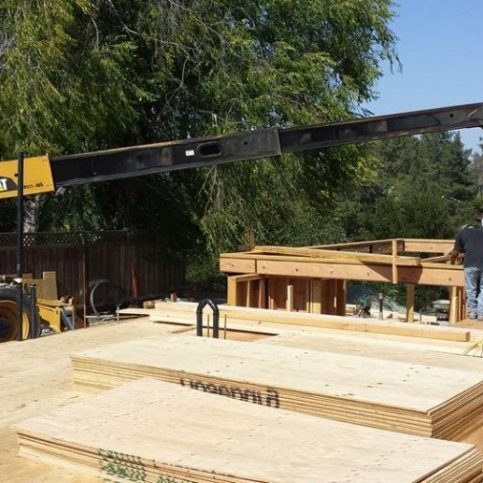 If you’re taking on a framing or home improvement project, consider using FSC Certified wood. If you’ve done some research on wood products, you’ve likely seen the Forest Stewardship Council (FSC) seal, which signifies wood that’s been grown and harvested in a sustainable manner. People who choose FSC Certified wood do so because they want their building projects to conform to the best practices of sustainability: preventing clearcutting and illegal logging, avoiding unnecessary pesticides, protecting the ecosystem, and respecting native people and fragile economies. If you’re interested in purchasing sustainable products, talk to your contractor or retailer. Sustainable woods and FSC Certified lumber can be hard to find in retail stores because they’re not as common as other types of wood. 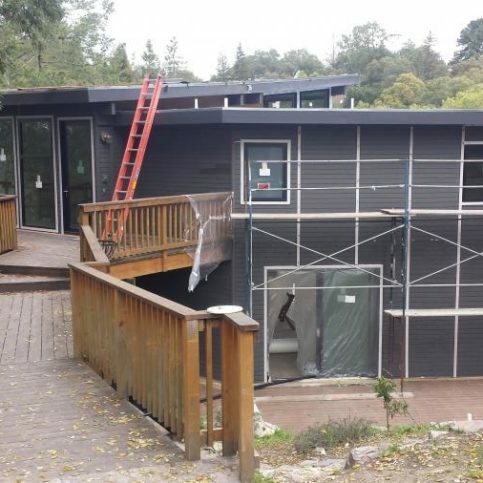 If sustainability is important to you, you may need to factor in some extra time to make sure your contractor can order the materials you need before your job begins. You’ll also need to decide between FSC Certified wood and wood that’s certified by other forestry groups. FSC products are widely recognized as being more sustainable and eco-friendly than products from other certification groups. That’s because many other groups are linked to the logging industry or don’t have transparent certification processes. Your contractor should be able to provide you with more information and research on different companies, groups, products, and harvesting methods. Surprisingly, FSC Certified wood isn’t necessarily more expensive than non-sustainable products. Depending on the supply and demand chain, you may find that FSC wood is priced similarly to non-sustainable or irresponsibly harvested wood. Costs fluctuate depending on where you live, current demand, available supply and other factors. Q: Will you give me an estimate before work begins? A: Yes, we’ll provide a thorough estimate that leaves the details up to your discretion. 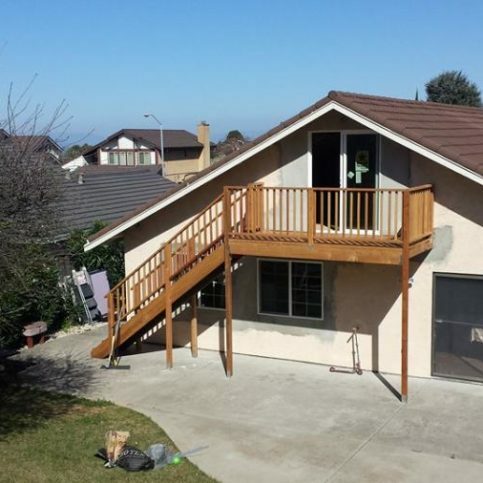 We’ll also help you understand that when we’re removing drywall or performing other structural changes, there may be hidden costs because we can’t see everything until we start working. We’ll even open up areas of concern so we can see what’s underneath the surface before writing the estimate. A: It depends on the extent of the work, but we’ll include that in the contract so you know what to expect. A: Our owner, Blaine Munsch, works alongside our crew members on every job. He’s a field-oriented owner who loves being onsite and seeing the work firsthand. 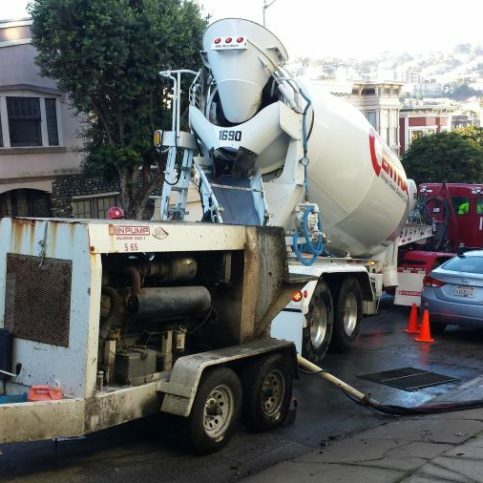 Q: Will you keep my jobsite clean? A: Yes. We pride ourselves on keeping a clean work area. We don’t like working around a mess because it forces us to make shortcuts and keeps us from doing a quality job. Inspectors who come to our jobsites often comment on how clean they are, which means a lot because they see a lot of construction sites. Q: Why is your bid higher than others I’ve seen? A: There are many things involved in construction projects that some contractors just miss. Sometimes, a company will even give a low bid on purpose and then create change orders to make up their profits. We don’t like change orders—they’re a headache for everyone involved. Instead, we provide accurate estimates and bids that help our clients budget effectively. 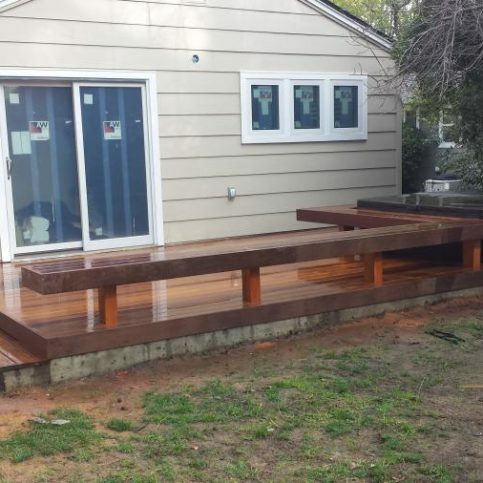 Willow Creek Construction built this pressure-treated redwood deck. 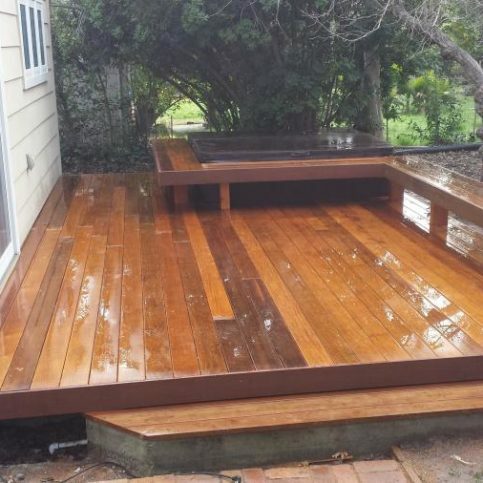 This Ipe deck features a wheelchair ramp. 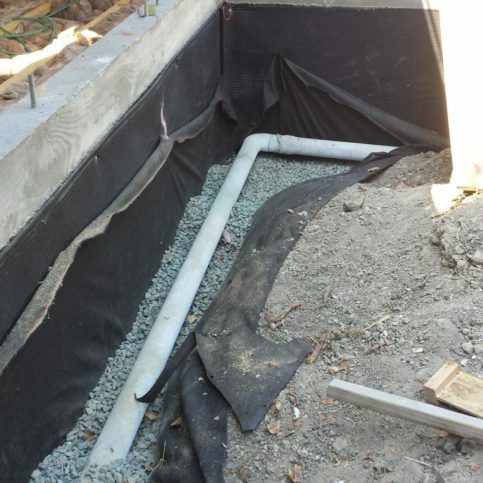 Willow Creek Construction installed this French drain next to a retaining wall on a clientÛªs property. 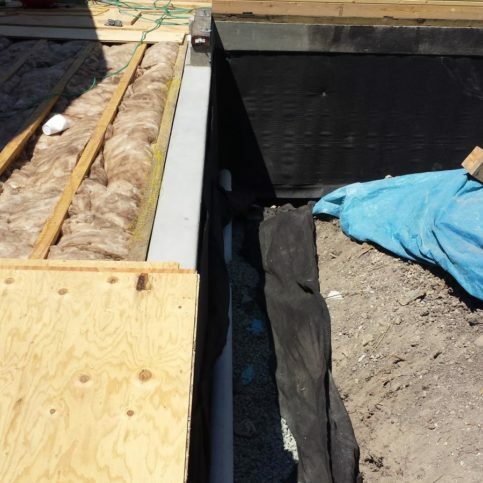 Willow Creek Construction installed this steel beam to create the rough frame of a floor system. 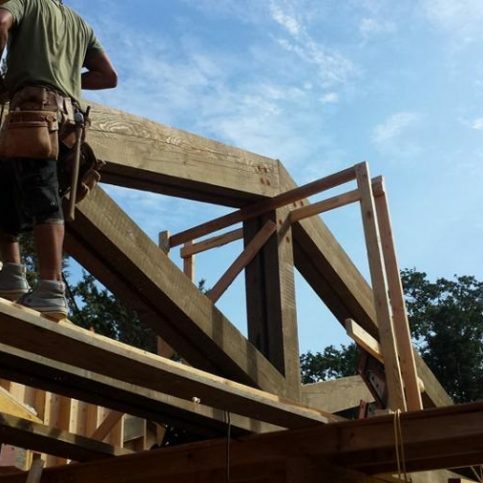 A Willow Creek Construction technician works on the trusses of a project. 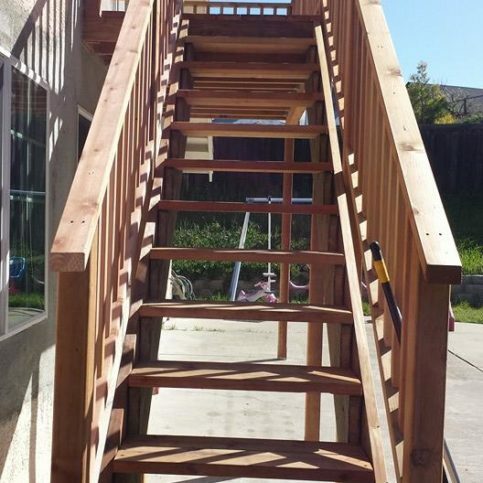 Willow Creek Construction built this trellis and Ipe deck. 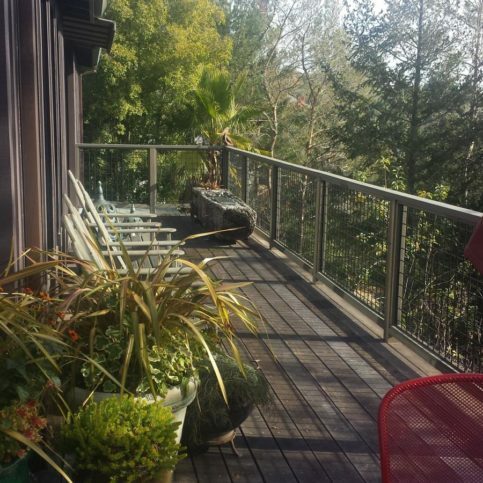 This Ipe deck features a steel railing. 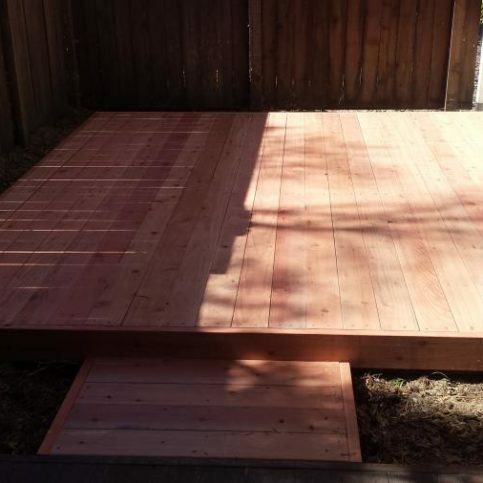 Willow Creek Construction built this redwood and Ipe deck to allow the handicapped homeowner to access the adjoining hot tub. 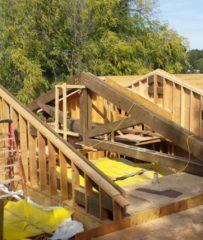 Willow Creek Construction converted this attic into an office and added a deck with stairs. 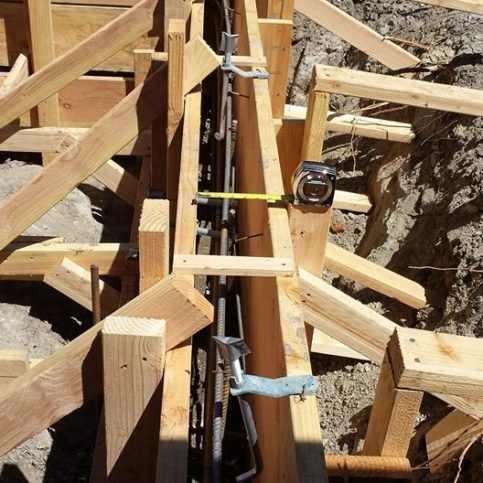 A Willow Creek Construction technician bolts trusses on a recent jobsite. This is what a typical form looks like before Willow Creek Construction pours the concrete. 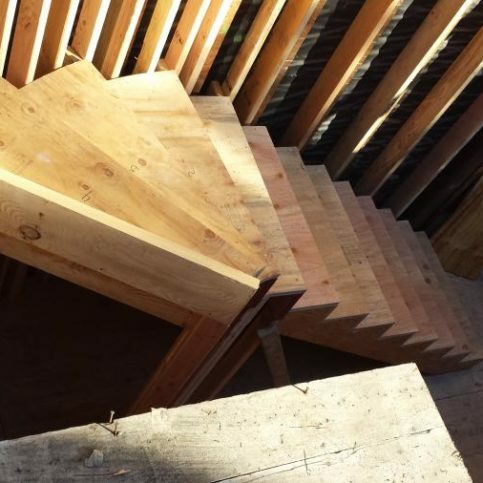 These redwood stairs lead to an office converted from an attic. 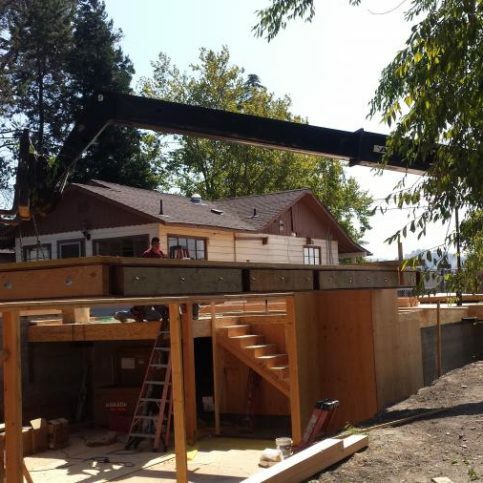 Willow Creek Construction technicians install a steel beam for a floor system over a garage. A Willow Creek Construction forklift moves a steel beam. Willow Creek Construction redid the windows and siding on this home in Lafayette. 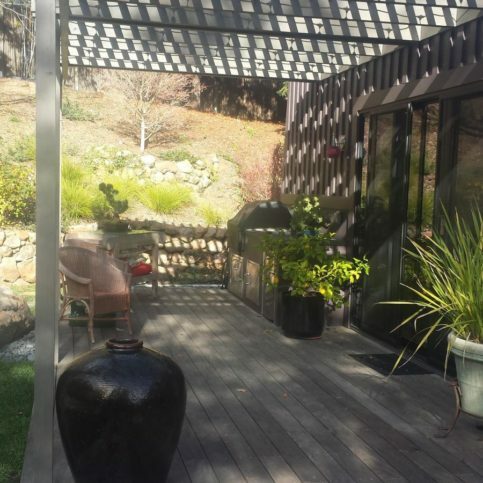 Blaine Munsch is a 29-year veteran of the construction industry and owner of Willow Creek Construction, a Diamond Certified company. He can be reached at (925) 201-6116 or by email. A: Any place that has good prime rib. A: Sleep—there’s nothing like a good afternoon nap on a cool, rainy day. Diamond Certified Expert Contributor, Blaine Munsch: The importance of caulking around window and door trim. Here we have a window that’s got a nice bead of caulking all the way around it. This is a good example of a high-quality caulking. Over here I have a piece of trim that goes down to a patio slab here. See how we got this gap here? But what will happen is that when it rains or you take the hose and you wash your patio, water will get down in here, behind the trim. And that’s going to promote dry rot. Dry rot is a fungus. And what’ll happen if you don’t take care of this crack here, the fungus will keep growing. And then it’ll start to get behind this trim and into your floor system or into your wall system. And then what will happen as well is that since it’s nice and soft, termites will get in there and start eating that nice, soft wood. So, it’s very important that we use a high-end quality caulking to caulk along the edge there. Willow Creek Construction : Average 9.5 out of 10 based on 15 unique customer surveys of customer satisfaction. I would tell them that the owner, Blain, is very collaborative. He helped us make the right decisions about the project. He has great customer service, and he does a great job. He was responsive to our needs. Run to them. They're one of the best contractors I've ever worked with. Blaine is the most knowledgeable, hardworking, and professional person I've ever dealt with. He's extremely easy to get along with. They do great work and I think they're very easy to work with. What really stands out to me would have to be the ease in working and dealing with Blaine. He seemed to understand me and we seemed to be on the same page. He gets down to business and he doesn't mess around. He has a wide scope of knowledge and expertise. On the very rare occasion of him not being able to do something, with 'rare' being the key word, he has plenty of resources to reach out to. They're very thorough and knowledgeable. 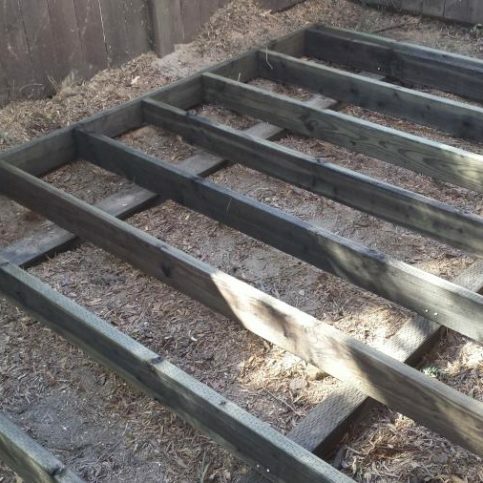 They were very quick to knock the job out, but at the same time, it was done properly and thoroughly. It was very well done and he is very competent. The whole project went very smoothly. I had 40 people over and they admired the project. Very dependable, always on time, and very accurate with his work, he always does a good job and his pricing is very affordable. They are excellent. They are honest, and they know what they are doing. They show up when they are supposed to show up. When they said they would do something, they did it. I think they did a pretty decent job. They never make promises they can't keep. I'd be stupid not to recommend Willow Creek Construction. They're knowledgeable, skilled, communicative, and easy to work with. The best thing would be that the work was completed by the estimated time. They stuck to their timeline and there were no surprises. Blain is a very accomplished carpenter. He does a great job. He always got back to me in a timely manner, and a his prices were fair. They were very helpful and always responded to me very quickly. They have an excellent service. Blaine was very professional and competent. They're great.